These instructions are for Sayings, Quotes, Lettering, Zebra Print decals, and anything that has the top transfer tape film layer. 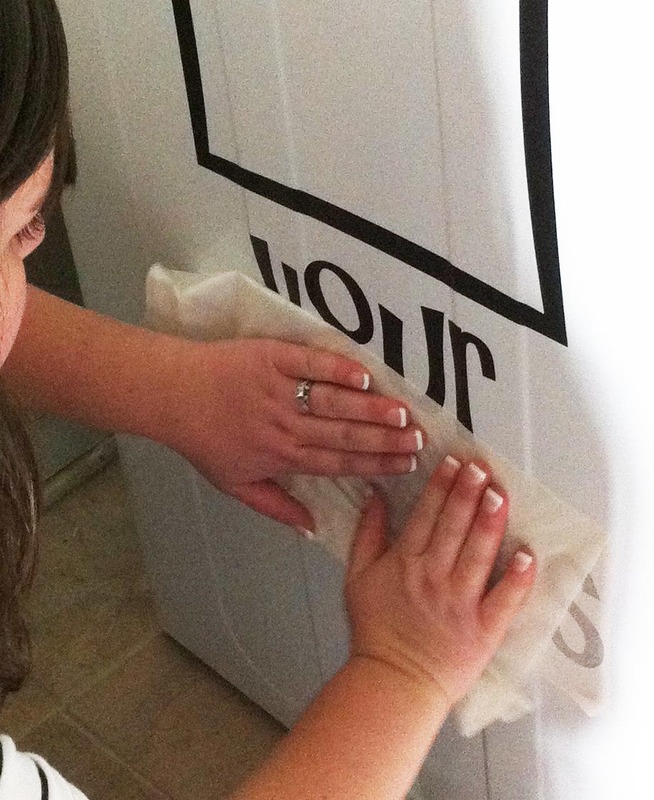 Vinyl Decals can be applied to most surfaces. You may find, though, that some surfaces, such as porous or chalk-like surfaces (such as stone) and flat painted surfaces are more difficult. Wall Decals are so easy to put up! Just follow our simple instructions. Please keep in mind that some of the fancier designs with tiny pieces or fine lines are more challenging and require more patience. Please make sure the surface is dry and clean. Temperatures should be between 50 and 95 degrees. If the walls have been painted recently, wait at least 2 weeks before applying the wall decals to allow the paint to cure properly. You will need a credit card or squeegee, masking tape, tape measure and patience. 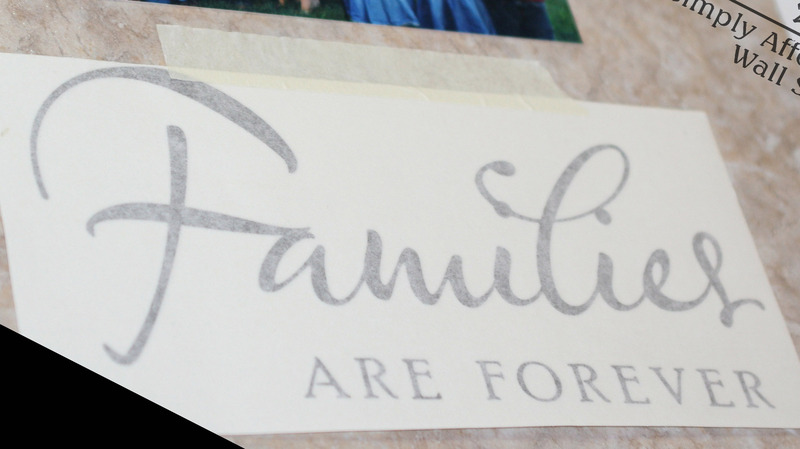 Before beginning, lay the vinyl wall decal on a flat surface with the original backing side down, using the credit card or similiar tool, rub over the top semi-transparent tape layer to remove any air bubbles that may have formed in shipping or temperature changes. There are 3 parts to your wall decal: 1. The backing paper. 2. The vinyl sticker 3. The top layer is a semi-tranparent transfer tape. 1. 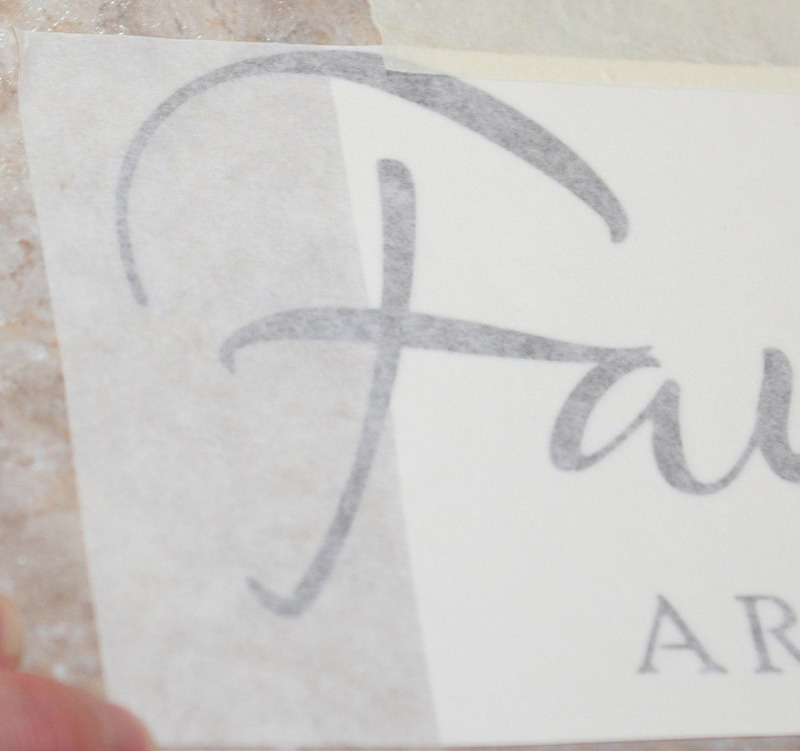 Position the lettering on your wall or surface. Using the bottom of letters, measure to make sure your lettering is straight. 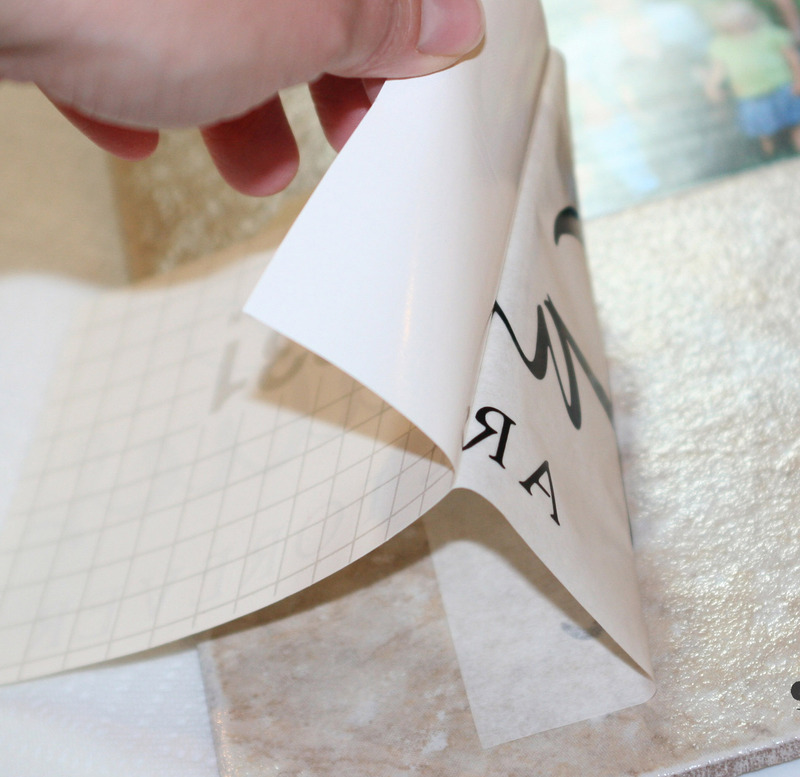 Use the masking tape to tape your design in place. 2. Peel the backing off about 1/4 of the way on one side. Cut that backing off. Now apply this piece to your surface as shown in picture #3. Now your design is partially on the wall and is less likely to move when you work with the larger piece. 4. Now work from the other side, peeling the rest of the backing off. Work slowly so you can catch any pieces that may not be coming with the semi-transparent sticky tape. If pieces are staying with the backing, manipulate it with your fingers to aid the process. Gently lay your entire design on the wall. 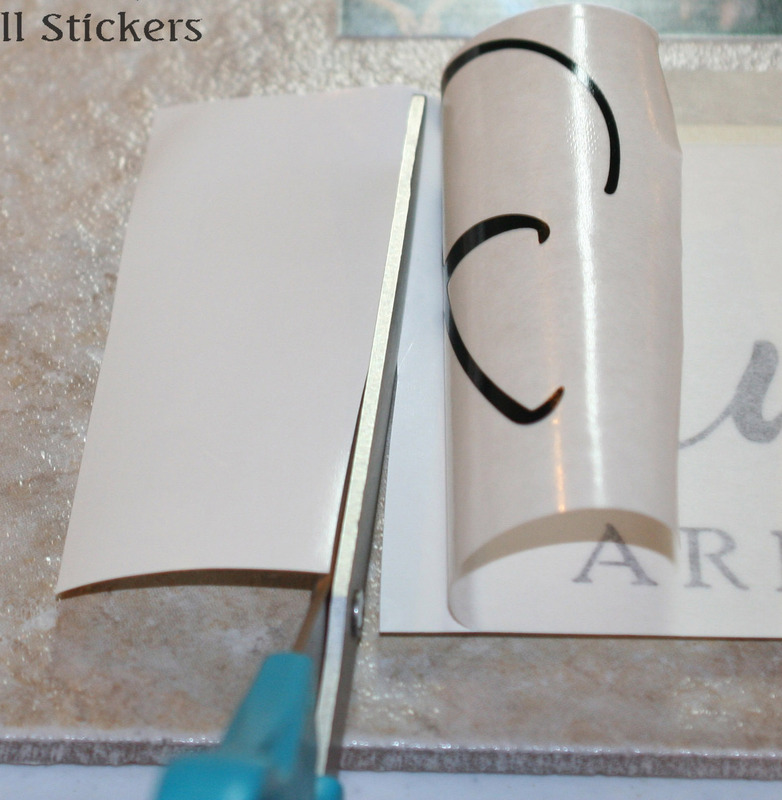 Firmly rub the semi-transparent layer to secure your lettering to the wall with the included card or squeegee. to reveal your design. **Keep in mind that the smaller the pieces or the rougher the surface, the more patience is required. Textured Walls Tip: peel the transfer tape in sections and over top of a squeegee while pressing down with the squeegee, like shown in THIS video. If you have further questions, try our FAQ page or Contact Us with any problems.